APE8858 is an ultra low output voltage linear N-FET controller. This product is specifically designed toprovide well supply voltage for front-side-bus termination onmotherboards and NB applications. The APE8858 integratesmany functions. 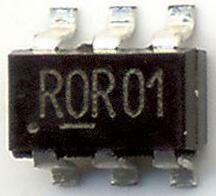 A Power-On-Reset (POR) circuit monitorssupply voltages to prevent wrong operations.